Fowl pox is highly contagious and it is almost impossible to prevent the spread of fowlpox throughout your flock once it has been contracted. If you catch it early enough you may be able to separate the infected birds and move the coop if possible. Sanitise and bleach everything the infected bird had contact with. Bathe all other birds in your flock. Make sure you are not spreading the disease. You can prevent spreading the disease to your other flocks or birds by using bio hazard methods, washing and sanitizing your hands, wearing gloves, aprons, and face mask, changing clothing, using plastic shoe covers while treating or handling infected birds. Chicken pox-(not the same kind as humans get) cannot infect humans nor can the human type infect birds. How is Fowl pox contracted? Virus-containing scabs also can be sloughed from affected birds and serve as a source of infection. "Can enter the blood stream through the eye, skin wounds, or respiratory tract. ​Mosquito's (the main way birds contract it) who are infected from feeding on birds which have fowl pox." Fowl pox is contracted by direct contact between infected and susceptible birds which have most likely contracted it from mosquitos who have been feeding on birds which have fowlpox and pass the virus to other birds. Not all birds are susceptible to fowl pox if preventative treatments have been administered. Virus-containing scabs can be sloughed from affected birds and serve as a source of infection by entering the bloodstream through the eye, skin wounds, or respiratory tract. Chickens and turkey's should be vaccinated for fowl pox. Note: Vaccination should not be done unless the disease is already been noticed or diagnosed. Remove all birds from the hen house and coops where infected birds have been. Clean all areas occupied by infected birds by removing all bedding and use an antibacterial disinfectant soap to clean everything including nesting boxes, walls and floor. You may wish to close the hen house off and treat it with bug bombs. Make sure no chickens are in the hen house during or for five hours after you bomb it. Be sure to use a large fan blowing toward the outdoors to remove the toxic bug bomb fumes for at least 2 hours prior to allowing the hens back in. This will get rid of any live mosquito's that may be hiding in the hen house but will do little to keep larvae from hatching. Make sure there is no stale standing water anywhere on the property. Mosquito's lay their larvae in stale water. Make a Permethrin dip or spray and apply to birds, this will make them less appealing to mosquitoes. Put citronella plants all around and in your chicken coop (mosquitoes hate citronella). Use mosquito dunks in pools, ponds, creeks, and any other standing water that cannot be removed. ​Use a water filter pump to keep water clean and moving in pools and ponds. Keep grassy areas mowed and clear of clutter that could hold rain water. Toads and frogs eat mosquitoes. Which breeds does it infect? Infects most poultry, chickens, turkeys, pheasants, quail, ducks, psittacine, and ratites. All ages are susceptible. What time of year is it most often contracted? How fast will it spread through the flock? Yes it is possible to vaccinate the uninfected birds and save the rest of the flock if you separate the infected birds. Scroll down to see how to prevent fowl pox. Can humans contract the Fowl Pox Virus from chickens or other birds? "Fowl pox is not transmissible to humans. 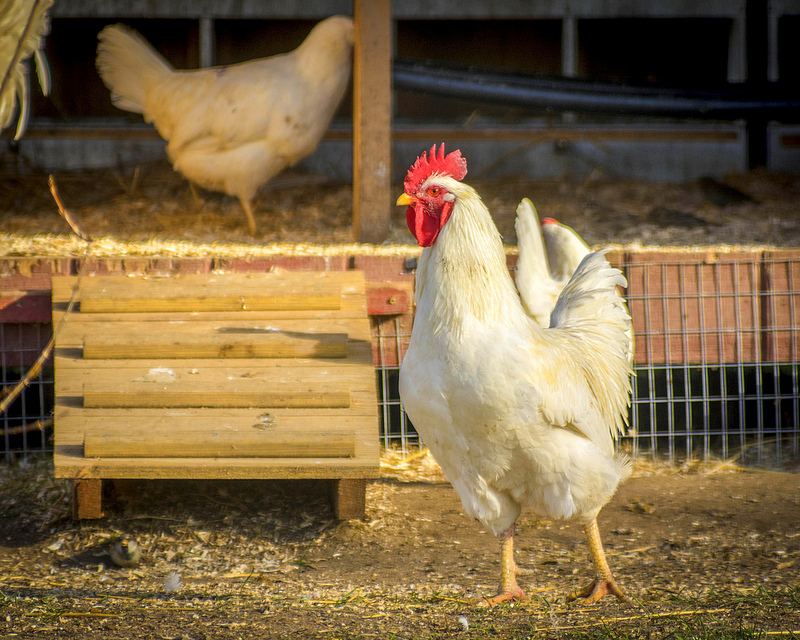 Fowl Pox affects chickens, turkeys and other fowl. Fowl pox (dry form) forms small pustules on the combs or wattles, or maybe on around the mouth and face. Pustules can also occur on the legs. There is a wet form that can occur inside the mouth. The dry form pustules can be brownish or scabs. Most areas of Texas have wild bird populations that are infected. These infections easily spread from the wild into your flock from mosquitoes most times of the year. Vaccination for fowl pox is a good practice for show birds." Read More..
See a complete list of illnesses and diseases that infect chickens. Includes, signs, symptoms, and treatments. Click here to see chicken illness-signs, symptoms, and treatments.